Thanks to a lot of generosity from my parents, I was in New York City in time for the 2015/2016 New Year’s celebrations. 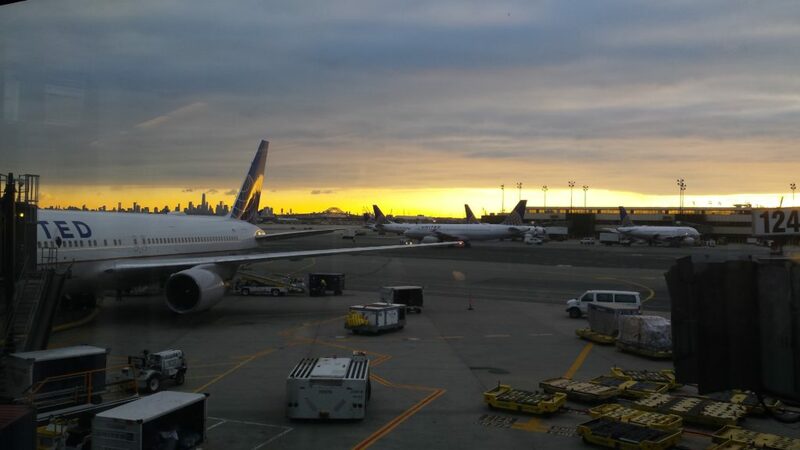 My Dad had turned 50 in November 2015 and in his usual matter-of-fact way, he decided to take the family to NYC to see out the year and welcome in the next. The man knows how to have a good time. This was my second visit to New York City and I’m sure it won’t be my last, as it’s certainly a place I hold dearly. I spent 6 days there in summer 2013, sandwiched between stops in Boston and Washington DC – a trip that first introduced me to the wonders of North American craft beer. I was probably a bit blown away by the city that never sleeps on my first stay, so it was fantastic to be back again to revisit some of my favourite locations, but also to see a different side of New York. 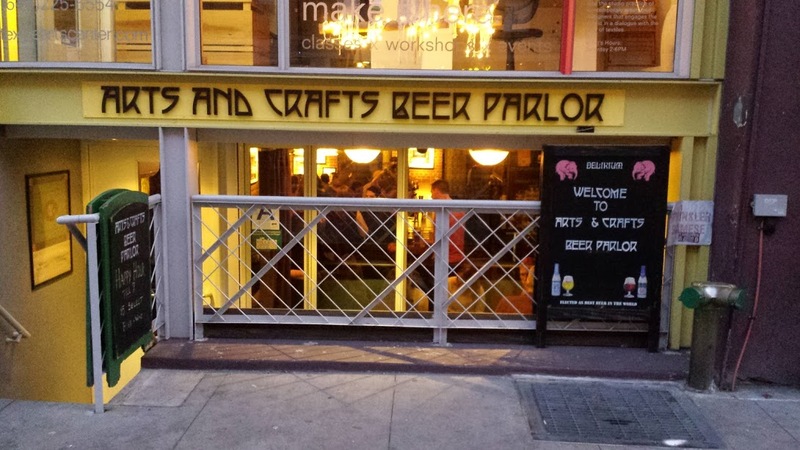 You’ll find long lists of the best craft beer bars in New York City, but my favourite of all those that I’ve visited is undoubtedly Arts and Crafts Beer Parlor in Greenwich Village. Its location on West 8th Street is just a block away from the famous Washington Square Park and just around the corner from Waverly Place where I was staying. Despite being so close, it took me until my last full day in the city to pay it a visit. My Dad and I had planned to head over a couple of nights earlier on the recommendation of the hotel bartender that we’d been chatting to, but when it came to actually finding the place, we scored an epic fail. My Dad reckoned he’d already walked past it earlier that day, but as we had both switched off our brains and left them in England, we had a tipsy walk around the block, most likely walking right past the yellow exterior of Arts and Crafts Beer Parlor. Instead, we ended up meeting up with the others back at the hotel and went for some food. Our mission was shelved for a later date. 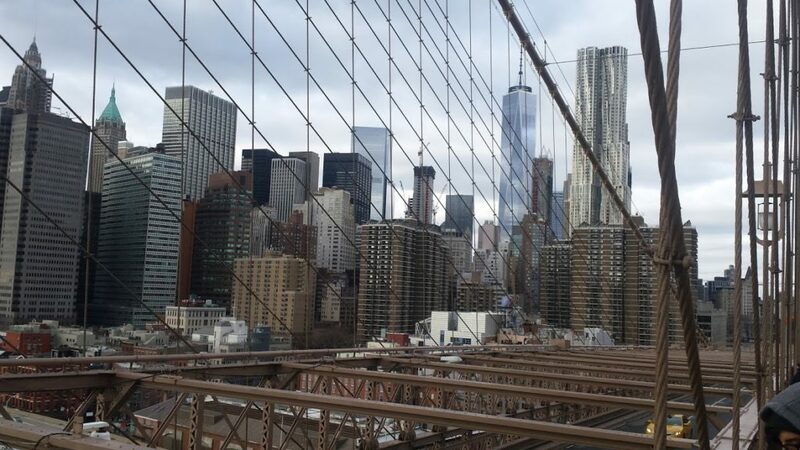 After a night of funky tunes and Lagunitas IPA on Bleeker Street to count in 2016, the morning of New Year’s Day consisted of the greatest hangover cure known to man ($1 Pizza) and a walk across the Brooklyn Bridge. By 2 or 3pm, back in Manhattan, I was more than ready for a beer, so I convinced the family to come with me to Blind Tiger, a Greenwich Village watering hole I’d read up on before the trip. The beer list was insanely good, but unfortunately, I think we’d picked the wrong day to visit. The place was jam packed and it was hard work to get to the bar, but the atmosphere was subdued. No doubt the place had been rocking the night before, right into the early hours of the morning. The bartenders seemed pretty knackered and were more inclined to chat quietly with regulars than do much serving. It felt a bit like a private party where nobody had the energy to tell us we weren’t invited… so they just pretended we weren’t there. My Mom and Sister wanted to sit down and there was little chance of that happening at Blind Tiger, so we left without ordering. I think it was my Dad who then had the idea to try a bit harder at finding Arts and Crafts Beer Parlor. In daylight and with relatively clear heads, we walked straight to it. Taking the 4 or 5 steps below street level and ducking through the door frame, I was sure right away that this was the right place for a few New Year’s Day Beers. Everything about ACBP stands out from your average New York dive or sports bar. It’s quite small in size, with a rustic and cosy aesthetic. The ceilings are low and there’s wood everywhere you look, from the wall panels, to the large bar that runs across the right side of the room. Gone are the usual neon lights and tin signs, out are the huge widescreens and the loud music. This is a place to enjoy a conversation with friends, admire the work of local artists that adorns the walls and indulge in some truly excellent beer (or wine if you’re that way inclined). There is one TV screen, but it’s not really a focus of the room. From standing out as the random English family in the last bar, it was easy to slide right into the laid back ambience here. ACBP is home to 24 taps, allowing for plenty of diversity in the beer line-up. Sat at the bar on New Year’s Day, I was faced with a perfectly curated mix of local brews, tipples from across the states and even a few European choices. Whether you’re a hop head, sour puss or more into something dark and malty, you’re covered here. Flights of 6, 12, 18 or even the full 24 beers are available depending on how long you have or how productive you need to be when you leave, but on this occasion, I felt like taking it one glass at a time. We’re going back more than a year and a half now, but I’m pretty sure I started off with a Knee Deep Hoptologist DIPA (California) and finished with a pint of Breckenridge Vanilla Porter (Colorado), with a mix of choices in between. I do remember for sure that every choice was banging. 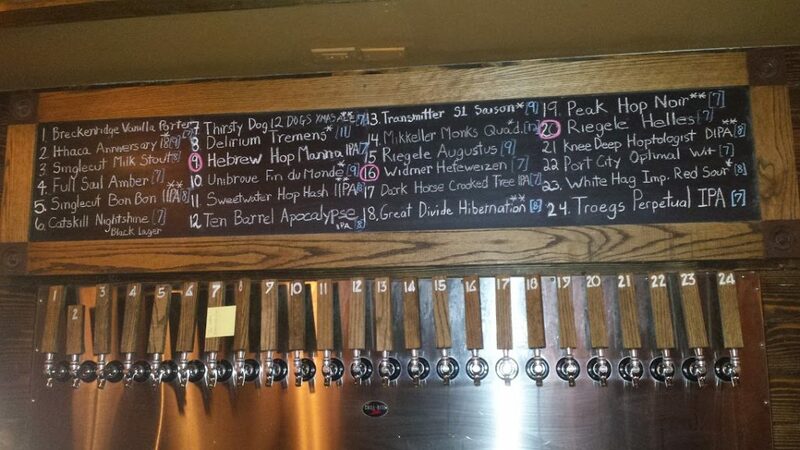 After the beer list, the surest sign of a great beer bar is attentive, friendly, knowledgeable staff. The day I visited, the bartenders were fantastic and played a huge part in my experience of Arts and Crafts Beer Parlour. Their enthusiasm for their jobs and their beer was apparent from the get go; it was great to hear their personal recommendations and exchange ale tales from each side of the Atlantic. Leaving my new favourite bar in New York (possibly the world) after a couple of hours, I found myself making plans to open a bar exactly like it that I could live in for the rest of my life. It has to be said, my Dad and I really let ourselves down when we failed to find this basement bar of dreams a couple of nights before. There’s nothing worse than finding such a great place when you know you’ll be on a plane home in less than 24 hours. If I’ve caught your attention and you’d like to find out more about this institution of sheer wood panelled brilliance, head over to www.artsandcraftsbarnyc.com. © 2019 Wednesday Beers. All rights reserved.